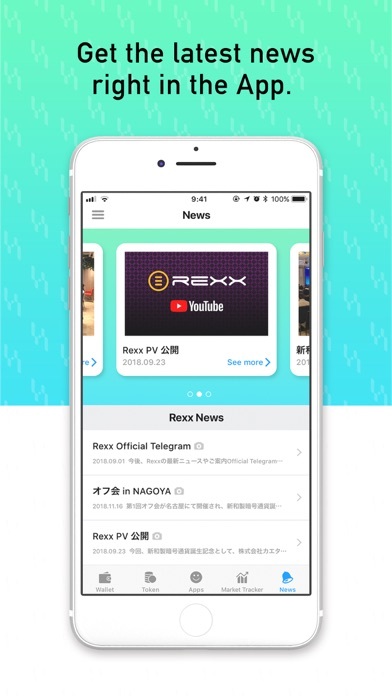 "HelloPayWallet", the only app which can store the New Japanese cryptocurrency "REX", is released by Rexx Organization. 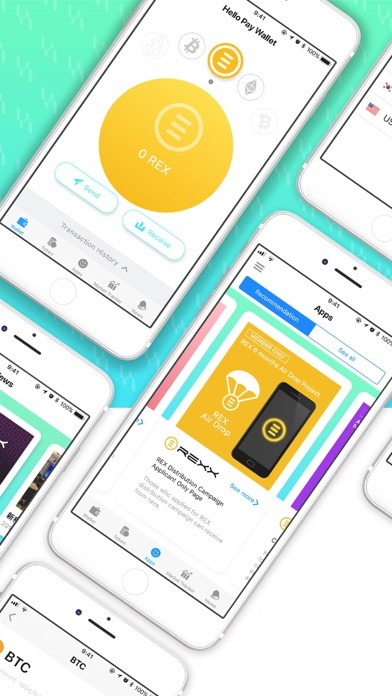 It can not only store REX on the smartphone, but also Bitcoin (BTC), Ethereum (ETH), and all different kinds of tokens. In the recent years, it is common for people all over the world to have cryptocurrency. 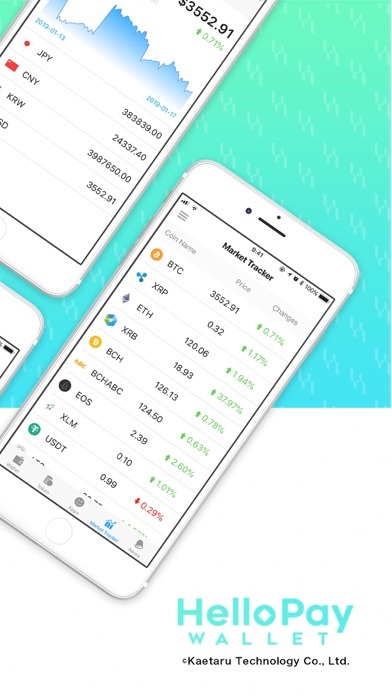 You can not only manage your currencies on exchanges, but also on your own smartphones and tablets. 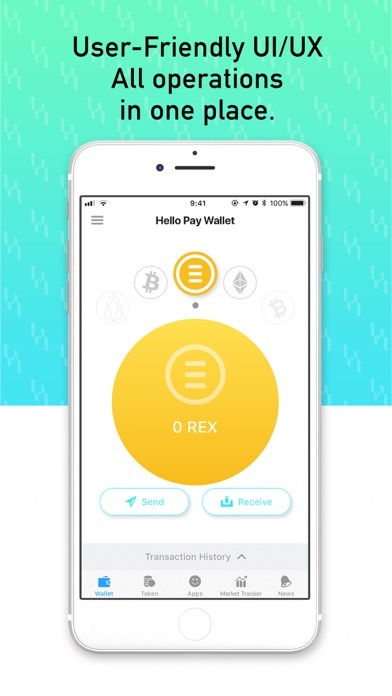 【What is HelloPay Wallet】 HelloPay Wallet is the only cryptocurrency wallet that can store the New Japanese cryptocurrency "REX". Store your “assets” into a reliable wallet. Safety is a main aspect of the wallet. With the stylish and user-friendly UI/UX, you can manage your cryptocurrency on HelloPay Wallet at the touch of your finger-tips. 【Features of HelloPay Wallet】 · Easy payments with QR code · Restore assets with your 12-words passphrase · Add, manage and trade coins with one click · Track the real time transaction trends of all existing coins and see the change with the balance · Store and trade coins with other currencies in the future · Check all transaction history · Supports 3 languages (Japanese, Chinese, English) …etc 【Corresponding Currencies】 REX, Bitcoin, Ethereum and many others. 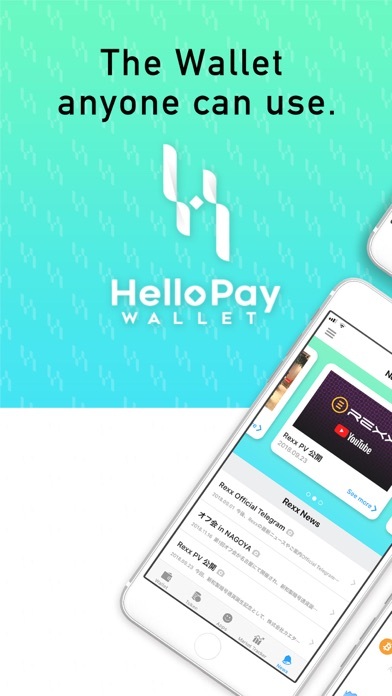 【Introduction Site】 https://hellopay-wallet.io/ 【Kaetaru Technology Co., Ltd.】 Kaetaru Technology Co., Ltd. is a company with a group of professionals in system development field. They develop various applications that uses blockchain technology, such as wallets, individual platform development, and media management. They not only will build system involves cryptocurrencies, but also other system in cooperation with experts from legal or tax field.